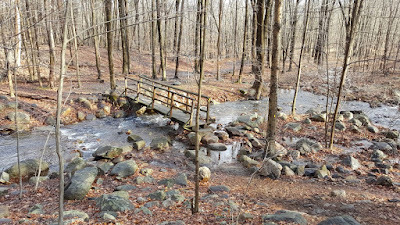 There had been strong rains which had melted all the snow. 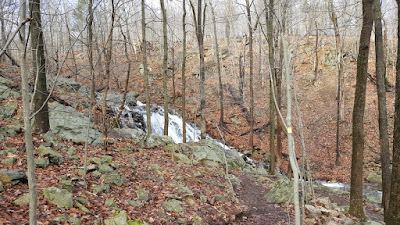 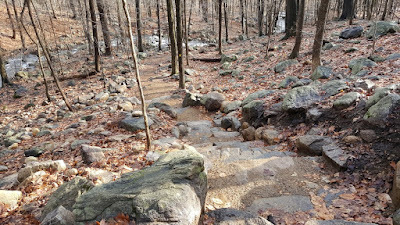 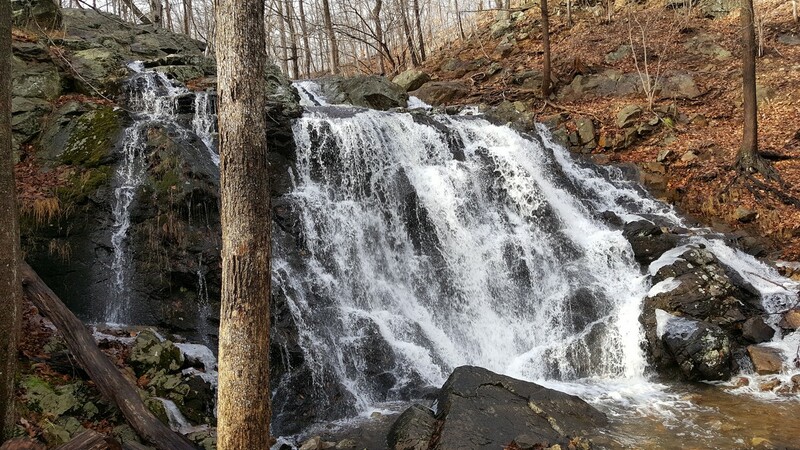 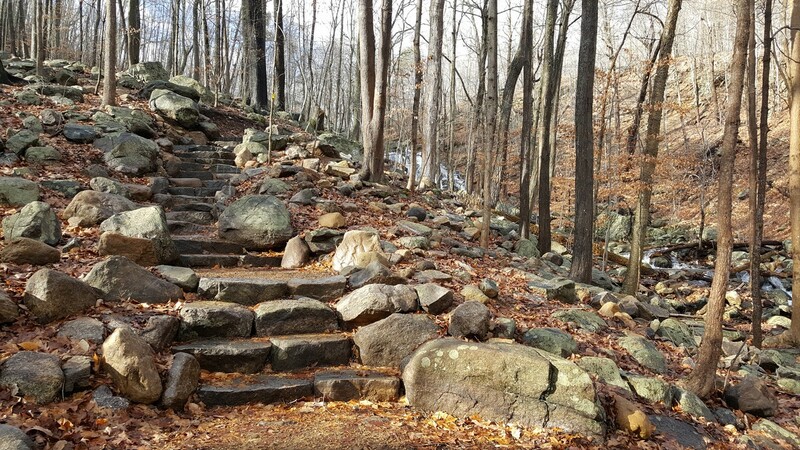 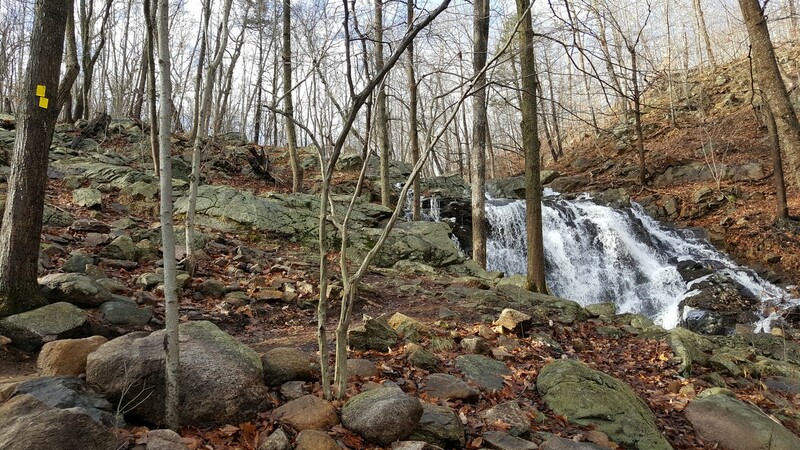 My office is nearby Ramapo Valley County Reservation, and I went on this hike from my office right after the rains ended. 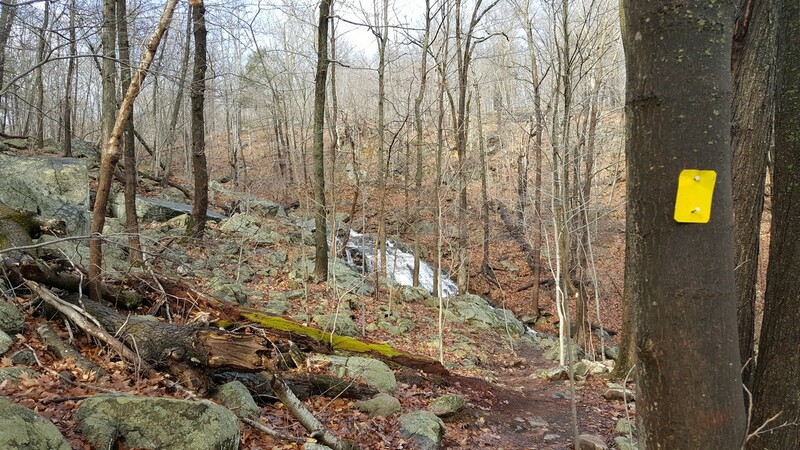 When the rain cleared out it became very sunny and temperature was in the 50's, a rare treat for the winter. 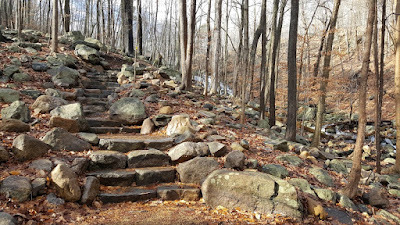 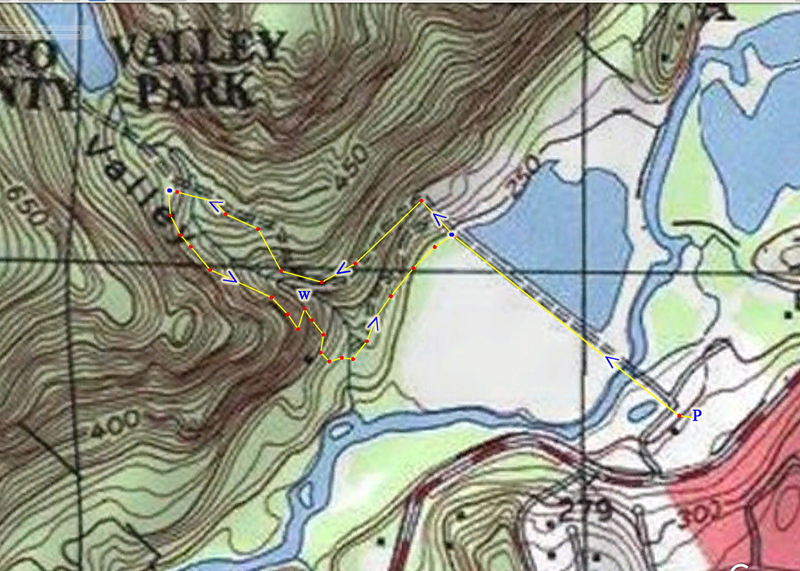 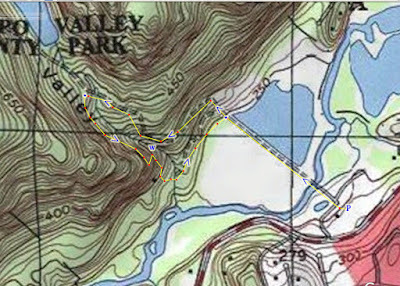 I parked at the main parking area, and took the Vista Loop past Scarlet Oak Park, to the Ridge Loop, up past the waterfall and alongside the stream, and then to the Vista Loop back along the other side of the brook. Due to the rains and melting snow, the waterfalls were very strong. 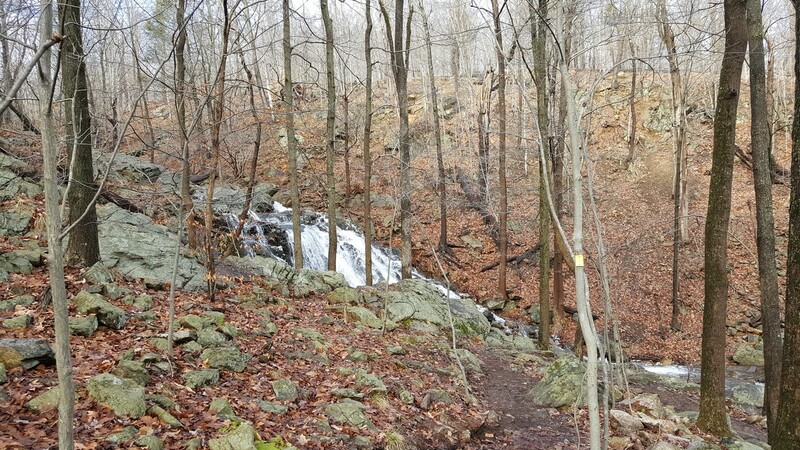 I also noticed that the Vista Loop Trail was rerouted at this area closer to the waterfalls for better viewing. 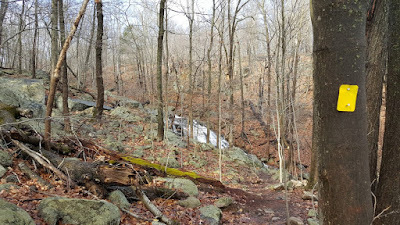 I took the new part of the trail, to the bridge over the brook, and then continued along the Vista Loop which I took back to the parking area.